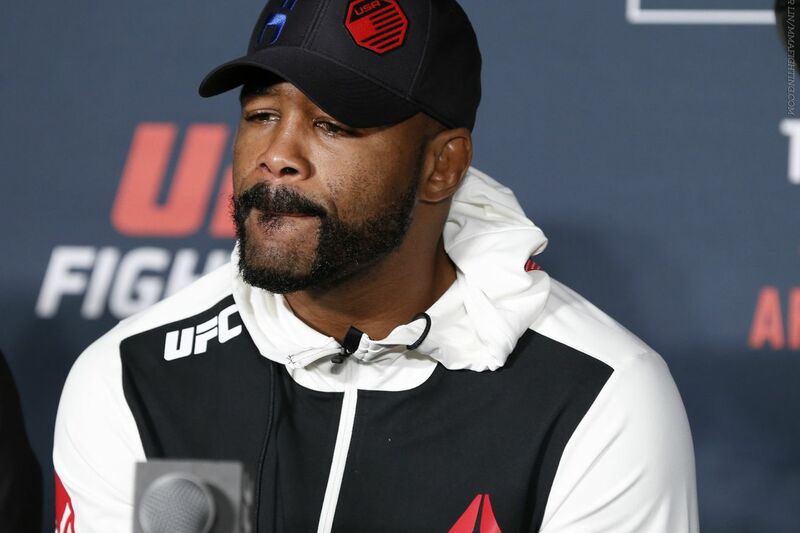 That was Rashad Evans, near tears, during a postfight interview on FOX Sports 1 on Saturday night, not long after Glover Teixeira had knocked him cold in under two minutes in the main event of UFC on FOX 19 in Tampa. It’s as honest a self-assessment as you’ll ever get from a fighter who is grappling with the notion he just might have hit the downside of his career. Most will go into a state of denial and tell themselves that with a tweak here and a tweak there, they’ll be right back to where they used to be. But Evans has long been one of the most thoughtful, analytical, intelligent fighters in the game, so it’s not surprising he’d be so honest with himself after one of his worst moments. Which makes what seems to be the acceleration of Evans’ decline all the more painful to follow. It’s one thing to watch former greats in other sports hit the downside. An All-Star slugger struggles to hit .200, a basketball player will a killer jumper misses shots he used to hit with ease. But the only damage that occurs is to their pride. it’s something else entirely with fighting. An elite tennis player doesn’t have an opponent trying to separate him from consciousness. A fighter does. For every Mark Munoz, who wins a thrilling final match in his homeland and retires to a thunderous standing ovation, there seems to be dozens who don’t get the hint their time is up until they’ve been knocked out once too often.